Our cooperative is a democratic organization controlled by our members. Everything is decided upon by the collective of learners, families, and workers. We are committed to creating a space where individual autonomy and the collective self-determination of everyone--especially children and youth--are fully respected. Engagement with self and community, ancestral traditions, sustainable ways of living, and technologies are foundational to learning and growth. We are a cooperative, learner-centered, and self-directed community, rooted in a radical Black queer feminist politic. We are a multi-generational, decolonized community of care, healing, and intellectual exploration where learning opportunities abound. We offer a space where folks can live as their whole authentic selves and in their full dignity, while being affirmed in their worth and held in a community of comfort. We are dedicated to supporting our children as they lead us into a world that is liberatory to all. A gathering of social movement liberators, homeschoolers and self-directed practitioners who believe that our children’s education should happen in a non-oppressive, libratory environments where they can express and develop their full personalities and potential. Zahra is a life enthusiast. She is a mother, organizer, creative and adventurer. A project starting, wandering, overlover and outdoor junkie. zahra has happily resorted to enjoying life the way she did when she was 13 years old, unapologetically with tons of play. 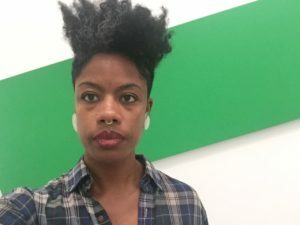 She utilizes space curation, outdoor adventure, food justice, yoga(ing) and being a creative as the root of her community organizing efforts to enhance physical and mental wellness, economic vitality and environmental stewardship among Black folks. Her work centers Black women and children and meets at the intersection of justice, living in ones values, healing, quality of life and Black Liberation. She is humbly a co-visionary of the Anna Julia Cooper Learning and Liberation Center where her insights and skills further the development of liberatory living and learning spaces. Dr. Yolande is a radical queer Black feminist mama, educator, writer, avid gardener, and lover of people and all species of flowering plants, including dandelions. 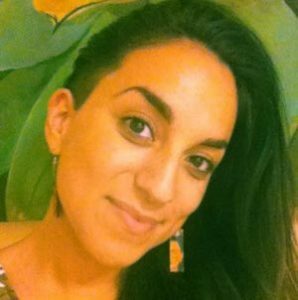 As a co-birther of the Anna Julia Cooper Learning and Liberation Center, she brings a rich background in higher education, community building, and human rights organizing and advocacy. She also brings her early experience growing up in a close-knit community in the Jamaican countryside, where she was raised by her Grandmother Rose who taught her to farm, build community, and practice love that’s expansive and liberatory. She is the co-founder and co-director of the Organization for Human Rights and Democracy, which empowers and educates communities of color to build the world they want to live in now through intersectional human rights organizing. 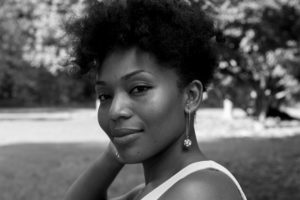 Yolande holds a BA from the University of Pennsylvania and a Ph.D. in American Studies and certificate in Women’s Studies from Emory University. Tamika is one of the founders of the Anna Julia Cooper Learning and Liberation Center. She is the Organizing Director for the Atlanta chapter of the National Domestic Workers Alliance. She is an organizer, birthworker, writer, and unschooling mama. 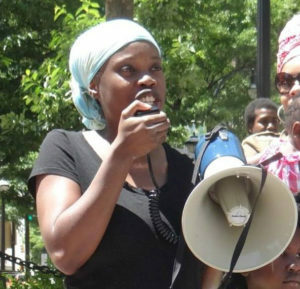 She is passionate about and active in struggles that affect Black women’s lives. She has served as the coordinator of Kindred Southern Healing Justice Collective, the Interim Executive Director and Board Vice President for SPARK Reproductive Justice Now, a Writing Fellow for the Center for Community Change, and a Program Coordinator for Project South. She has performed as a member of The NALO Arts Collective. Currently, Tamika is treasurer of the Board of Directors of the Organization for Human Rights and Development, and is an advocate for self-directed learning. 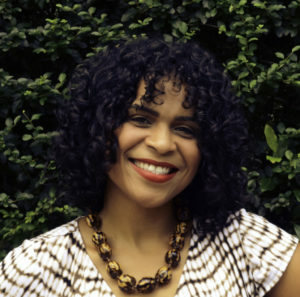 Amanda is one of the founders of the Anna Julia Cooper Learning & Liberation Center. They are the Deputy Director and National Membership Director of the US Human Rights Network. Amanda is a Southern Xicana sci-fi and tech nerd, twin mama, planner, and papercrafter. A certified K-8 educator, Amanda has worked as a teacher in traditional secondary students in public school settings, and as an 'advisor' in the alternative Big Picture model program. For over a decade, they have worked to advance the human rights of children and youth as an educator and organizer for migrants’ rights, racial justice, and education justice. As a survivor of childhood abuse and neglect, Amanda is fiercely committed to the principles of Child Honoring, and works to pledge their love to the world's children for generations to come. Rema is a recovering public/private science and engineering educator and current unschooling mama of two. An interesting upbringing and educational path led Rema to become a scientific creative with combined interests in technology, esthetics, and humanity. Artist, tinkerer, nature lover, and nurturer, Rema aims to share her passions and support her community through her role as a lead facilitator in AJC daily programming. Through humor, reflection, relationship building, and with her connections to professionals in creative and technical fields, Rema will assist learners in digging deep into their interests and connecting to real world application of their natural and cultivated talents.